Electrical Services – American Legacy Construction Group Inc.
American Legacy Construction Group is a full service Industrial and Commercial electrical contractor. We are a member NECA and are signatory with IBEW local 124. 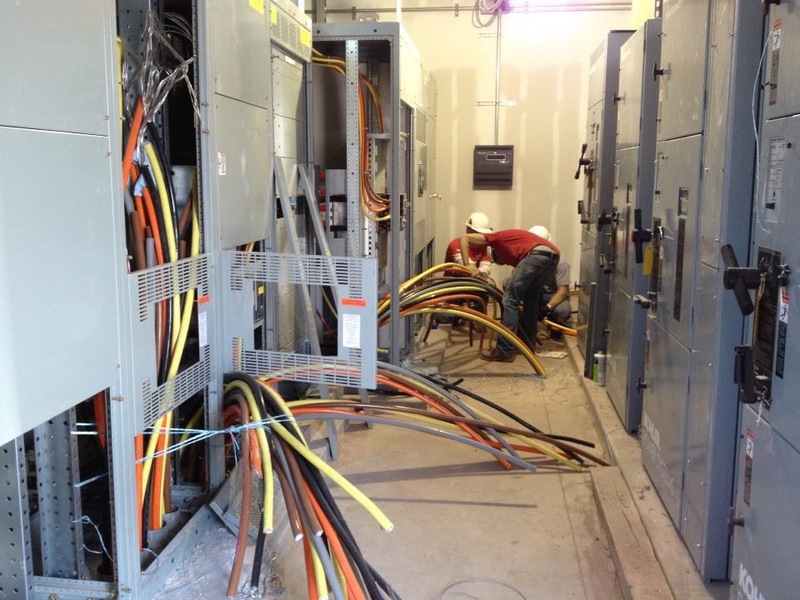 We perform electrical installations of complete services for new buildings and provide service techs to many of Kansas City’s manufacturing facilities. Installation of building automation controls. Industrial Machine assembly and controls. Project consisted of power to the building: 4000 amp service to all main switch gear that included 3 generators and all ATS switches, 8 sub electrical rooms, Sub fed with 2000 bus way, and all sub panels and transformers. Project consisted of all building automation. Including HVAC, generator monitoring, utility monitoring, all CRAC unit stats, lighting controls, and DC power plant facility alarms. Installation of all building automation controls. Manufacturing equipment upgrades and servicing. Replace existing HVAC system with high efficiency VRF system. Upgrade and Maintain critical and life safety electrical systems and components.